Family Charades Compendium includes 4 different charades games. Beginning with Family Charades (ages 8+), this game makes playing charades easy. Other categories include Animal Charades (ages 10+), Hollywood Charades (ages 12+) and Retro Charades (ages 14+). 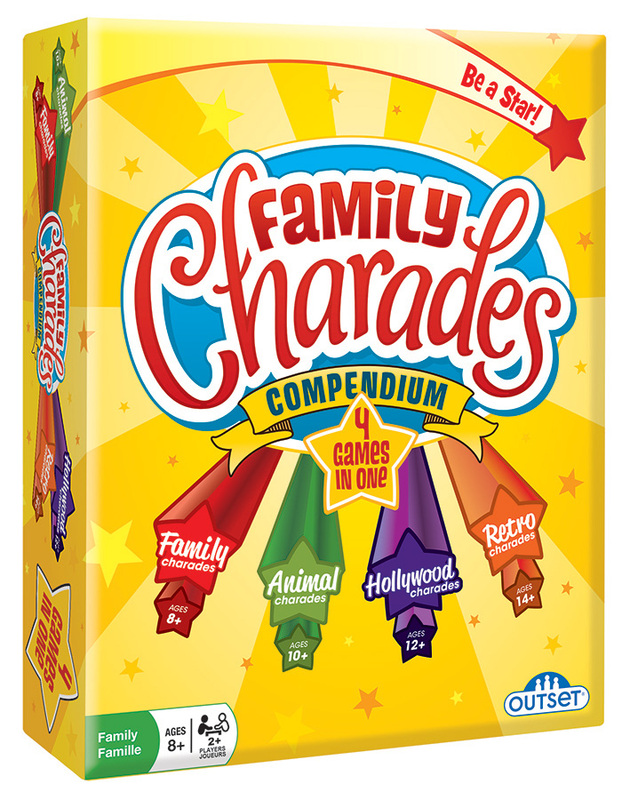 If you like this game, but have a need to include younger children, then try our Family Charades Compendium 6-in-1 big box game! Item # 11169 Weight 1.6 lbs.